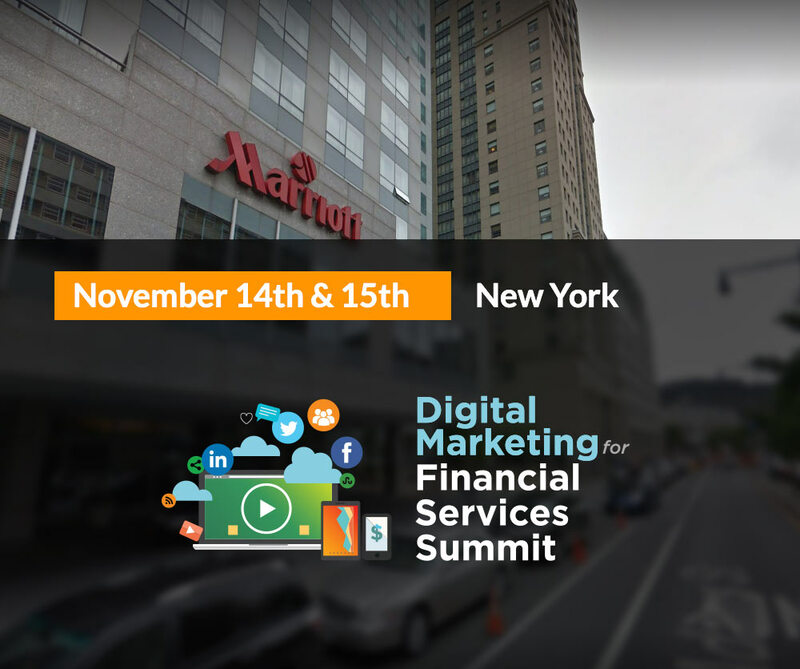 We’re happy to announce that we will be sponsoring the 4th Annual Digital Marketing for Financial Services Summit: New York, November 14th and 15th at the Marriott at the Brooklyn Bridge, NY. Join us at the event to learn the latest in digital marketing tools and tips, and harness the full potential of digital with inspiration from many amazing speakers such as Brett King, leaders from some of the top financial brands in the world, and our COO, Chris Lamoureux speaking about “The Untapped Channel”. You really do not want to miss this event. This event is part of a series of the largest digital marketing events specially designed for Financial Service Marketers in the entire world. Join us at the event to learn the latest in digital marketing tools and tips, and harness the full potential of digital with inspiration from some of the leading voices in digital marketing in financial services. Stop by our booth if you are interested in finding out how one of our clients achieved 70% higher lead conversion rate with our product, Digital Agent.